Dependability and reliability is why we install Honeywell/Ademco brand security/intrusion equipment. Honeywell/Ademco is one of the largest security equipment manufacturers in the world. To sleep soundly, you need peace of mind. You need to know that what you value most-your home and your family, are safe and secure. According to statistics, homes without alarm systems are three times as likely to be broken into than those that do. The facts are in-security systems are effective in preventing loss of life and protecting property. Like millions of others, you’ve realized that your peace of mind is what matters the most, and are considering purchasing a home security system. Smart move! By providing free 24/7 service on all our central station monitored systems, not limiting service calls to “9am to 5pm only” and do not charge extra to schedule a service call on an off hour Saturday or Sunday. As a Securetec Security Systems customer you can click on the top right corner of this page “History Reports Log-In” and view a list of alarm signals received at the central station for your account. Under “Manuals & Downloads” is downloadable copy of the user manual for your security system. We specialize in the installation of wireless as well as wired security systems for homes. Relax. Securetec Security Systems, Inc. can help. 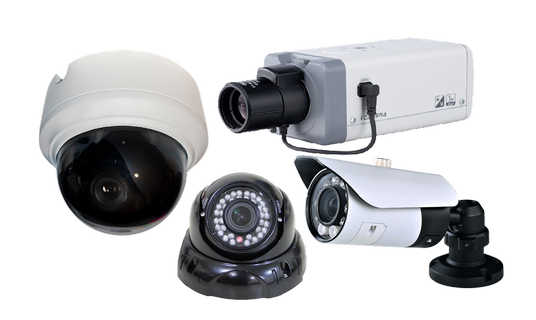 Securetec Security Systems, Inc. offers complete end to end solutions for any commercial application. From simple storefront intrusion to UL listed burglary systems along with video and access control for factories, large retail, financial and complex warehouse distribution environments. Our supervised commercial wireless solutions can open new opportunities for your business and offer your customers a life-safety system that can be installed with minimal interruption to their business.